Crowdfunding is all the rage these days, with burgeoning loans made available by myriad crowdfunding companies for yield-hungry investors. CoAssets is bringing crowdfunding to another level as the company is raising A$10m through her listing on the Australian Stock Exchange (ASX). CoAssets is one of the major crowdfunding players in Asia, and the few which are publicly listed. This article I would like to shed some light about the listing. How Does CoAssets Make Money? The Commission income is related to the fees generated from the businesses who list their projects on the CoAssets Peer-to-Peer (P2P) lending platform. Personally, I would prefer to see majority of the revenue to be earned from this avenue as opposed to the others. This is the core premise of a crowdfunding platform. Nonetheless, it is a start and investors should monitor the growth, or a lack thereof, in the P2P commission income. 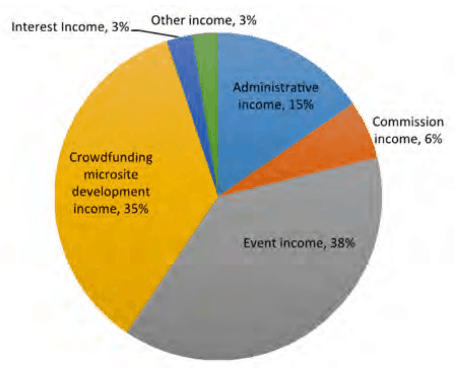 Most of the income are generated from the development of a micro-site, and event income. The former, I believe, is a white label of CoAssets’ platform. The latter, are revenue generated from CoAssets’ flagship event, Expo for Property Investing and Crowdfunding (EPIC). (d) Continue to identify unique ways to minimise risks to investors of the Platform and the Company as a whole. What Role Does CoAssets Play Since We Have Banks? Edison Investment Research, who has conducted a valuation report on CoAssets, found that the approval rate for SME loans since 2006-07 has been 80% in Australia. It can be said the 20% is the funding gap that crowdfunding companies could service. CoAssets aims to facilitate a P2P lending service for businesses that require loans of between S$100,000 to not more than S$5million and with maturity periods of not more than 12 months. In essence, most of the crowdfunding platform would serve smaller companies with lower credit ratings that deemed too risky for one party, i.e. a bank, to lend. 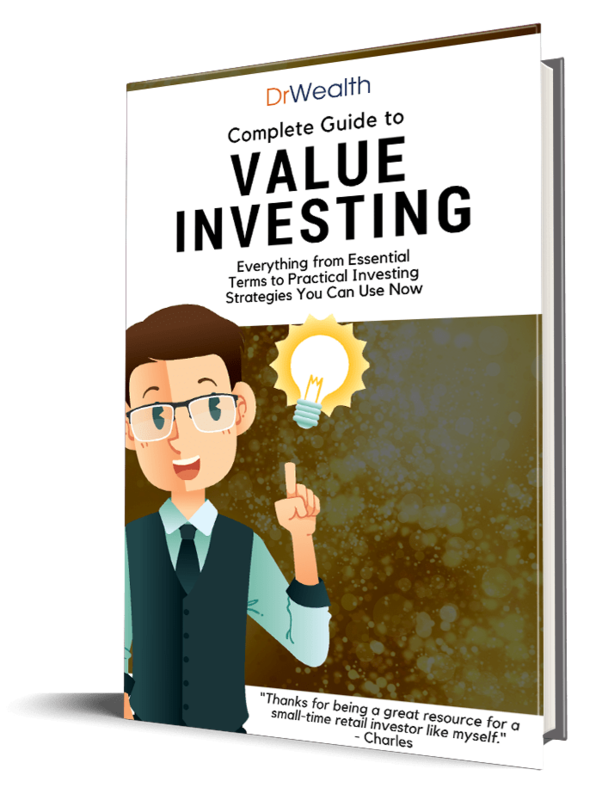 However, the risk could be shared among many individuals when invested in small amounts. Hence, a diversified portfolio of a large number of loans is paramount for a crowdfunder to manage default risks. To date, the average deal size funded by CoAssets is S$0.7m, and the deal size ranges from S$0.1m to S$2m. How Would CoAssets Utilise the Money Raised? According to the Prospectus, CoAssets would utilise the capital in two years. Whether another round of fund raising after that remains unclear. Based on the breakdown given, most of the capital would be used for working capital, which suggests the Company still needs to grow the revenue to cover its operating expenses. There is also a focus on marketing and sales, which I believe is to bring in more listings and sale revenue for the Company. IT & Product Development seems underinvested, but considering the Platform has already been up and running, and the apps are launched, it might be a plausible amount for refinements and enhancements jobs. While it is understandable for a start up to require funding for working capital, growth of revenue is what investors would look out for in the ensuing years. The revenue must be able to out grow the working capital to sustain its operations. Without which, it would be difficult to convince investors to provide further funding. What Is The Valuation of CoAssets? As mentioned earlier in this article, Edison Investment Research has published a valuation report on CoAssets. The analyst valued CoAssets in the range of A$0.26 to A$0.66, given different growth rate scenarios. I believe the analyst based the growth rate on Morgan Stanley’s report, Global Marketplace Lending: Disruptive Innovation in Financials, which estimated a CAGR of 51% from 2015 to 2020. The truth is no one knows how the future will unfold and if crowdfunding would take off. Forecasts like this can only be taken with a pinch of salt. A new business in the right environment would of course gets its way around a lot easier, and I think CoAssets is trying to catch the crowdfunding tailwind. At the time of writing, CoAssets shares were trading at A$0.50. In fact, the shares have performed very well since its listing on NSX, making a 400% gain from A$0.10. CoAssets is offering 25,000,000 Shares at an issue price of A$0.40 per Share together with one free attaching option exercisable at $0.65 expiring on or before 30 May 2019. The known unknown is the degree of regulations for crowdfunding activities. 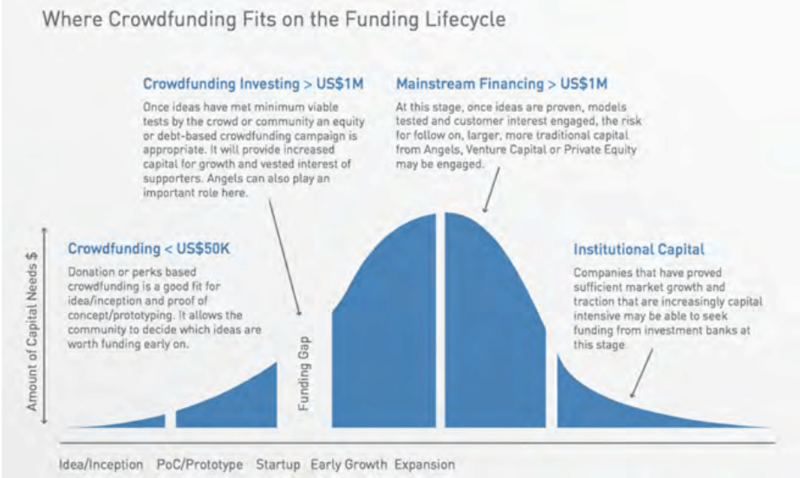 Authorities like the Monetary Authority of Singapore (MAS) has been watching the space and issued a consultation paper in 2015, to solicit feedback about regulating the crowdfunding space. The Monetary Authority of Singapore (MAS) is proposing legislative amendments, expected to take effect in December 2016, which will mean that promissory notes issued on a crowdfunding platform will be classified as a security and the platform operator will need to hold a Capital Markets Services Licence (CMS). CAX has stated in its May 2016 Prospectus that it is taking steps to apply for a CMS licence, a process that could take 12 months and cost S$30,000. There is an expectation that regulations will tighten and licenses will be required. This would translate to compliance costs for the Company, and may delay the Company’s target profitability to beyond 2019. In a winner takes all environment, it is natural that the crowdfunding space will end up with a few big players. There are numerous crowdfunding platforms, and more would emerge in the future. In this competitive environment, it takes a lot of factors to succeed, and it isn’t easy to tell in advance who will last till the end. Revenue growth would be an indication of growing market share, and it is important that CoAssets could display this to investors. What are the Positive Signs? Mr Getty Goh, CEO. He is the champion of the company and has loads of experience in properties. Dr Seh, CTO. He has a PhD from MIT and is the person in charge of all aspects of CoAssets’ technology. COL Lawrence Lim, COO. He was an ex-Chief Artillery in the Singapore Armed Forces, and has held important other important appointments such as the chairman of Southeast Asian Games opening and closing ceremony. He is in-charge of CoAssets’ regional operations. Dr Jeffrey Chi, Independent director. He is an experienced venture capitalist and is currently the Chairman of Singapore Venture Capital Association. Mr Chew Siang Chee, CIO. He was previously the Asian Treasurer of Mecuria and won the Corporate Treasurer of the Year award for 2015. Traction is what most investors would want to see in a fast growing start up. 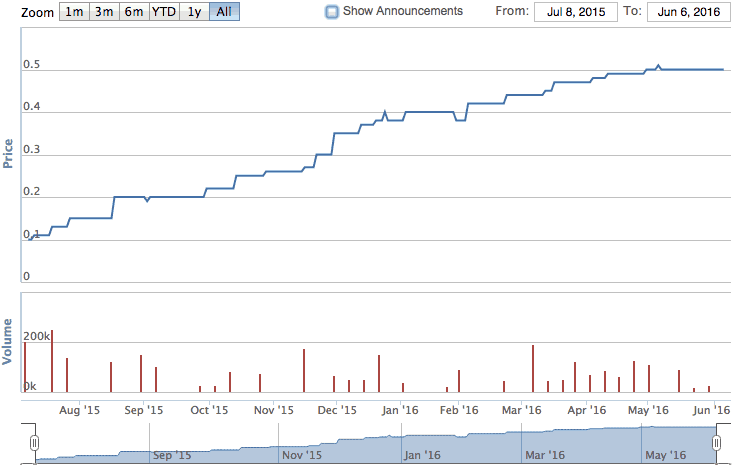 CoAssets’ member base grew from 200 to 51,000 in 3 years. This works out to be about 1% of Singapore’s population (1 out of every 100 Singaporeans is a CoAssets member). Based on the regions that CoAssets operate in (Singapore, Malaysia, Australia, China and Indonesia), the population is more than 100 million. With a 1% penetration rate, it is possible for CoAssets to hit 1 million lenders within the next 2 to 3 years. The number of active lenders is estimated to be more than 25,000 based on a 2.5% conversion rate, assuming the rate is consistent with Kickstarter and Indiegogo’s. At $10,000 average loan, CoAssets can potentially hit S$250 million worth of loans in the next couple of years. Lastly, I also understand that CoAssets has completed $45 million worth of loans and have zero default. CoAssets attribute this result to the robust risk assessment model which was developed with one of the Big Four auditing firms. Rate of default is definitely a watch area for crowdfunders and if CoAssets can keep this rate at zero, it should be able to attract more lenders going forward. This is a question you would want an answer to. But it is also an answer that I would not be able to give, in fact, I cannot be advising. Investment is a contextualised activity whereby a qualified financial advisor would be able to assess your suitability. I would probably point out a few things for you to think about as a thought exercise. It is indeed rare a rare opportunity for retail investors to be able to invest in a young tech company. Most of these early stage investments are only available to venture capitalists. That said, venture capitalists understand the risk of failure is higher among young companies and hence, diversification of investments into numerous start ups is something that they practise in order to manage risks. Hence, ask yourself if you are able to diversify into numerous tech start ups or equity investments, or do you understand the crowdfunding landscape well enough to make a very informed and wise investment decision? We do not profess to be an expert in the crowdfunding space, in fact, we realised we do not understand it enough. We do hold some shares in CoAssets in support for our local enterprise, and to partake in the crowdfunding movement in a small way. Disclaimer and Disclosure: This is not an invitation to subscribe to the CoAssets shares. BigFatPurse.com covered this because we think it is an interesting development in the crowdfunding scene in Singapore, and we would like to share our thoughts since we have received a couple of queries about it. BigFatPurse Pte Ltd holds 19,000 shares in CoAssets at the time of writing.